Book Of Demons lets players decide the length of quests. Developer Thing Trunk has announced that fantasy ARPG Book Of Demons will finally leave Early Access on December 13th, more than two years after its initial launch. Part of an ambitious project called Return 2 Games, Book of Demons is the first of seven "mid-core" titles that aim to look back at the "golden age of PC gaming". Each of these games "is a tribute to a single hit game from the 90’s: a reimagining of a single universal story for a brand-new audience, using modern means and innovative gameplay mechanics.". 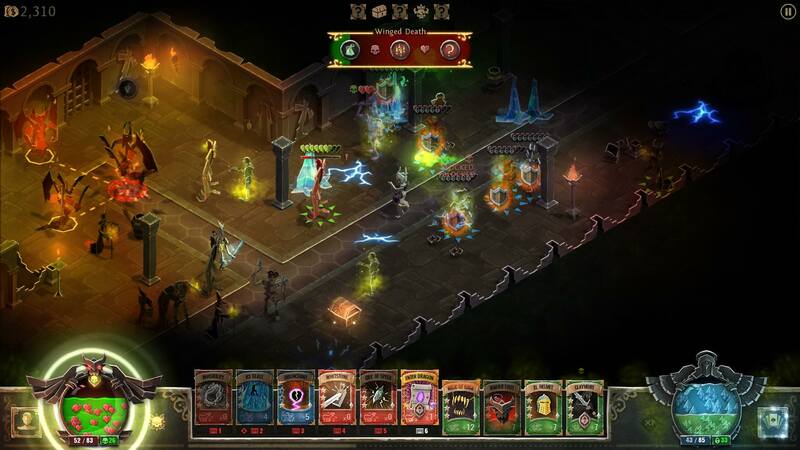 Inspired by the original Diablo, which it also slightly parodies, Book Of Demons takes dungeon delving and adds a number of interesting twists. Aside from its unique papercraft aesthetic, player movement is streamlined down fixed paths while stats are replaced by upgradeable cards which act both as equipment and skills, providing a good degree of customization. Furthermore, the game's Flexiscope system allows players to set the length of individual runs. The full version will come with three classes moulded after the classic archetypes of Warrior, Mage and Rogue, each with their own signature abilities. 70+ different baddies will try to stop players from giving the mean old Archdemon the holy spanking he deserves, while 40 magical cards will aid adventurers in seeing it done. Book Of Demons will support both Xbox and Steam controllers and feature a Roguelike mode, alongside monthly and alltime Leaderboards. Book Of Demons is currently part of the Polish Sale on Steam, which runs until November 9th and halves its price down to $9.99 or your regional equivalent. This is the last chance to get the game on sale before its launch which will also bump the price up to $24.99. Previewing Book Of Demons left me quite impressed with what was on offer, so I'm quite eager to jump back in and see where how two years of updates impacted it. A video going through 21 fact about Book Of Demons was also recently released and, if you'd like to give the game a shot before purchasing, a demo is also available on its Steam page. Book Of Demons is set to launch on PC and Mac on December 13th.